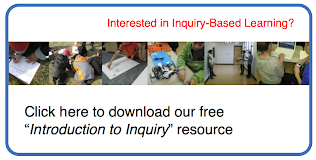 In the Spring of 2014, I was looking for an engaging question that would connect to the Grade 7 Science Unit Ecosystems and Interactions. At the time, I was hearing a lot in the news about the Northern Gateway Pipeline and I had just secured a grant from ESRI to get training and support with their ArcGIS platform. This quickly developed into an ambitious idea for a major inquiry. I wanted my students to take the lead role in a comprehensive study of the Northern Gateway Pipeline (NGP)—a proposed project to transport oil and condensate along a 1,177 km route between Bruderheim, Alberta and Kitimat, British Columbia. I adopted a student-led, inquiry-based approach to studying the pipeline, by simply asking students whether they thought it should be built. This quickly led to a huge list of questions that we would need to address in order to back up our opinions with sound reasoning. It was very important that my class develop informed opinions about the internationally publicized NGP and to understand the perspectives of as many stakeholders involved as possible. It was also important that my own opinions remain hidden in order to ensure my students were not influenced in any way. 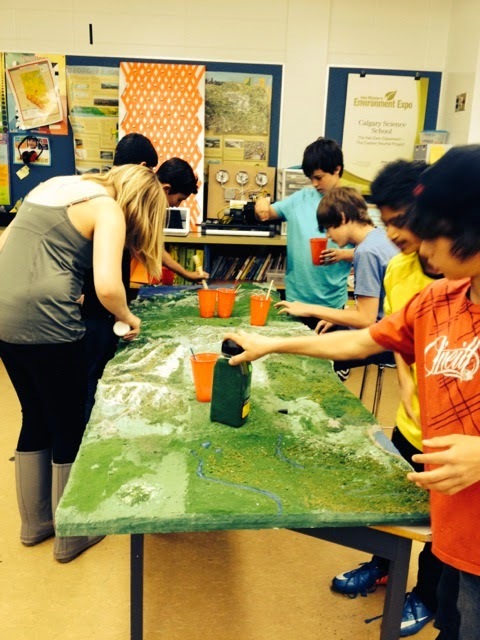 My Grade 7 students drove the project themselves, formulating their own questions, mapping the planned pipeline route using ArcGIS, and researching its potential environmental and social impacts. We brought in guest speakers from Energy companies, Pipeline Companies and from Environmental Organizations. 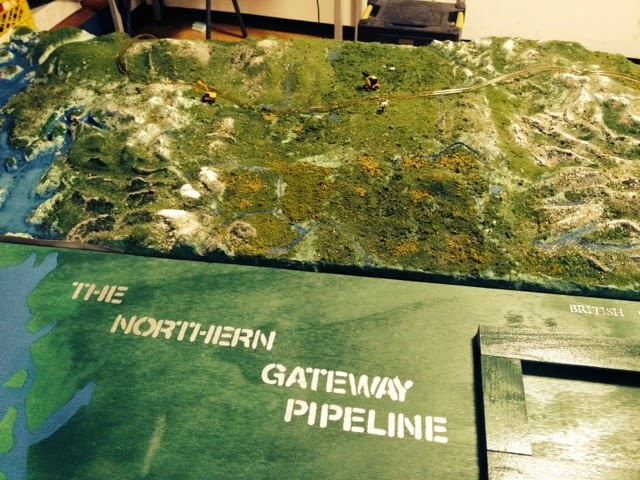 We even built a large scale model of the pipeline, to accompany our story map, which became the culmination of the students work, complete with a summary of their final decisions. Students even experimented on plants in order to learn about the potential impacts of chemicals entering the environment. We presented our finished project at the Mayor's Environmental Expo, held every June in Calgary, where our students received an award for their hard work. The video below provides a visual tour of this project and click here for access to our Story Map. InnovateWest is a professional development initiative that focuses on bringing educators together to share, build and reflect on exemplary teaching, learning, and leadership practices with the goal of building a network of innovative educators. This annual conference will be held on October 24 and 25, 2014 at Connect Charter School. The conference begins on Friday morning with a student guided tour of Connect Charter School on an instructional school day. Participants will have ample time to observe classrooms and dialogue with students and teachers in a rich inquiry setting. Facilitated discussions will be hosted at the school during the three blocks scheduled on Saturday October 25 as well as one on Friday afternoon. Sessions are built around conversational discussions, collaboration and idea sharing which allow attendees to engage with ideas and actively participate in the event. Discussion Proposal deadline is October 10, 2014. Join this growing group of innovators at innovatewest.org and on Twitter using the hashtag #iWest. We hope to see you at the annual conference or at one of the many exciting opportunities this school year. 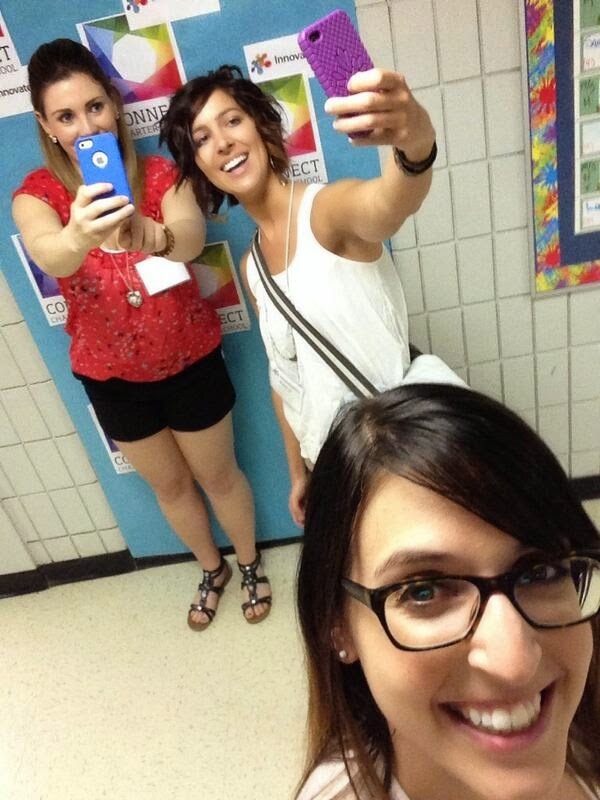 We have a special student teacher rate for registered university students. Contact erin.p@connectcharter.ca for more information. When I was a kid, I used to see faces in everything. It’s been nice to find them again. Things I realized I forget to notice in the city: mountains, clouds and the way their shadows move across the peaks, baby trees, the sound of running water, the flight of birds. Awesome moments: getting to know people better, getting to know myself, diving into the glacial water, crossing streams, cooking by the creek, seeing the landscape at 7am. Why Would Anyone Ever Want to be a School Principal?